I am assuming you are here because you want to go vegan, you are a new vegan or you're interested in learning more about living a vegan lifestyle. When I became vegan I was unsure about everything and I had no idea. I wished I had a mentor or someone to guide me, now, 1 year and 5 months later, I have learned quite a lot and I want to share my knowledge with you. I'm no expert, but I think I can give a pretty good guide for people who aren't sure where to start. 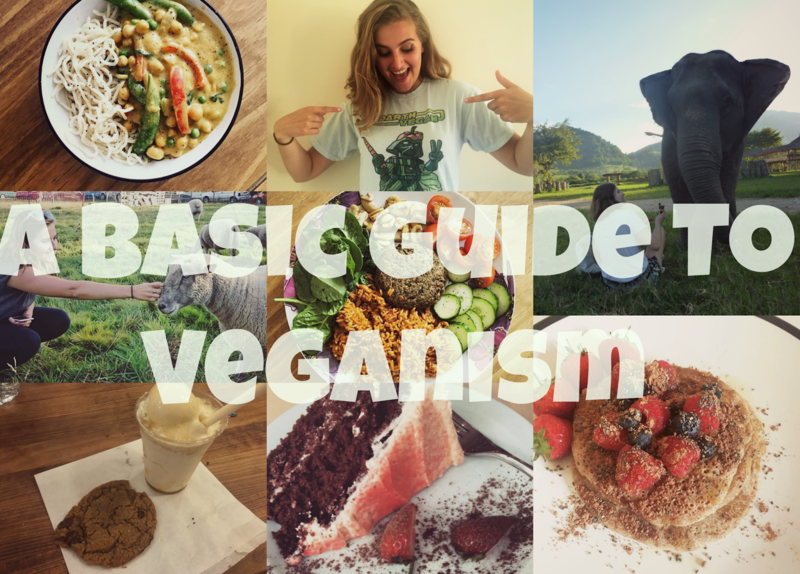 It is a common misconception that veganism is a diet, but remember that veganism is a lifestyle choice, when you go vegan you'll change many things about your life, not just the food you eat. Due to the effects animal agriculture has on the environment & the effects consuming animal products can have on your health, the diet is the the best place to start. Before you change your diet, you're going to have to do some research. Your body has been used to animal products, so when you cut them out your body may have withdrawal symptoms, and you might confuse these feelings with being hungry. You may well be hungry, because when you switch to a plant based diet your portions will have to be a lot bigger, vegetables have less calories than meat & meat takes up to 3 days to fully digest and pass through your body, but fruit & vegetables take 60 minutes to a couple of hours. So if your portions aren't big enough of course you'll feel hungry. You're not hungry because you need to eat meat! This is why researching before changing anything about your diet is important. Read up about nutrition, you don't need to see your doctor, as doctors don't know much about nutrition. I'd recommend seeing a dietitian or nutritionist, but be careful as some of them are very brainwashed by the meat and dairy industries, try seeing a plant based nutritionist if possible. Only see your doctor if you want to, but they can't offer much advice. It would be a good idea to get your blood levels tested prior, just to see if there's anything you are low in. The only supplement you will ever need to take as a vegan is B12, as B12 is only found in dirt, and I can't imagine its very nice to eat! Some good books to read are: The China Study & How Not To Die, alternatively, watch the documentary Forks Over Knives. My advice is to cut out one product at a time, if that is what works best for you. Try maybe cutting out eggs, then dairy, then meat and eventually all animal products. Not necessarily in that order, a good way of doing it is by deciding which you like the least and what makes you feel the worst. Do you break out after eating dairy products? Does red meat make you feel sluggish and gross? Think about those things. No one is going to shun you for not being 100% vegan straight away, as long as you do your best and your end goal is to be vegan, then you're doing great. 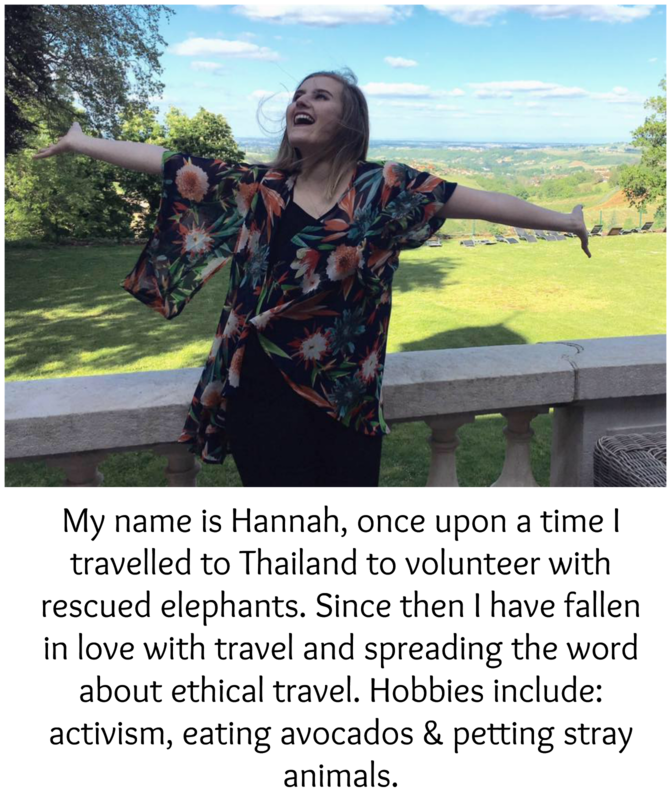 Congratulations on choosing to live a healthier and more compassionate life! Just make sure you read labels. It is SO important that you remember to check labels of everything you buy, even drinks. Of course you will only need to do this for the first couple of times you go grocery shopping, because then you'll get to know what products it is you can have and enjoy. To be honest, I actually enjoy reading labels, its become a habit for me now and even when I know the ingredients I still check. Just to be sure the recipe hasn't changed, besides, its good to know what you are putting into your body! Remember that products labeled as Vegetarian can also be suitable for vegans, providing they are free from eggs & dairy. A good example of this is Bisto Gravy Granules in the red tub. These all come from animals, and sadly, the way they are "harvested" is extremely inhumane and cruel, its unnecessary and you don't need to use these products. People believe that these materials are the best quality but it is not true, you can get so many different clothing items and shoes made from sustainable and or synthetic materials which are just as good a quality and no animals were skinned alive or abused for them. If you're not sure if a product is vegan, its easy to find out. If you are shopping online, there should be the materials listed in the information. 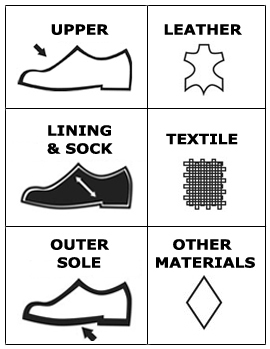 If you are in a shop, usually the labels inside the clothing state the materials. Obviously if you see the leather symbol, avoid at all costs. The textile and other materials are fabrics and man made materials, therefore no animal skin would have been used. The labels can also be used on furniture, so keep an eye out. Remember to research beforehand if you're looking to buy a new pair of shoes, as some brands use animal derived glues. Nike have been known to use animal glue, for example. I know it might seem like a lot of effort, but its worth it. Thankfully there's some brands which have vegan ranges e.g. Dr. Marten, Birkenstock & Vans. These are just a few examples. The Cosmetics & Toiletries Aspect. First of all, I just want to say that if you already have things that are not vegan, please do not throw them out. This will not benefit anyone & it is wasteful. You already paid for them so just use them up and then replace them with cruelty free products. Unfortunately, a lot of household favourite brands test on animals, or use animal byproduct in their ingredients, such as Unilever & L'Oreal. It is important to remember that sadly, cruelty free doesn't always mean vegan. Be sure to look out for things like honey, bee pollen, carmine, lanolin etc. As these are NOT vegan. Some of the things listed apply to clothing and food as well, its basically an essential list for all things to avoid as a vegan in general. There's some great brands which are cruelty free, such as LUSH, who are known for fighting against animal cruelty. 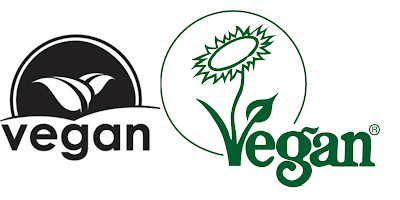 A lot of their products are vegan, some have the vegan society trademark on, and some just state it on the back of the bottle where the ingredients are listed. They do have some products which contain things like honey and beeswax etc, so just look out for those. LUSH have products suitable for men, women & children so they are family friendly. My personal favourite makeup brands are Barry M & Too Faced, they are both cruelty free but not 100% vegan. Thankfully though, their websites state quite clearly which products are suitable for vegans, which is so great! Barry M is sold in places like Superdrug & Boots and is affordable. Too Faced is a little more high end and slightly pricier. A great website for finding out more information is Cruelty Free Kitty, updated regularly about cruelty free brands and which brands have vegan products. Just remember that if a brand sells in Mainland China, they are required by law to test on animals in order to sell there. An example of this is MAC Cosmetics. If you buy from MAC you are funding animal testing. Don't worry if MAC was your favourite brand, there's plenty of brands which are just as good, or in my opinion, better, which do not test on animals. Sidenote: Some cruelty free brands are owned by non-cruelty free brands. For example, Urban Decay are owned by L'Oreal who are absolutely notorious for testing on animals. You are not directly funding the animal testing if you buy Urban Decay, however you are still indirectly supporting L'Oreal. How I see it, is that if we show a high demand for the cruelty free and vegan products, we are proving to these big names such as L'Oreal, that it is what people prefer. Eventually, hopefully they will take notice and change their policies. It depends on your own beliefs. The same thing mentioned above applies to household cleaning products. A great brand that is labelled with the leaping bunny logo is Astonish. They are cruelty free AND vegan and have a wide range of products to keep your house nice and clean. Find out more at: Astonish & the same goes for Morrison's & The Co-Op, their own brand cleaning products are cruelty free. As I mentioned about the furniture shopping, be sure to look out for the leather logo on sofas and armchairs. If you have children, or if you just like going on fun days out. Instead of going to The Zoo, Aquarium or places like Seaworld, find your nearest farm sanctuary. If you're headed on holiday, look online to see if there's any sanctuaries or conservations nearby to where you are staying. Make sure you really do some research on this topic to ensure you're putting your money into a good cause and not a scam. Other things to avoid are: Circuses, elephant trekking, Tiger Kingdom, swimming with dolphins, anywhere that has an animal on a tether or a chain, elephant painting, crocodile farms, snake charming, bear parks & dancing monkeys. Spending time with animals and letting them be themselves as well as getting to know their personalities is much more fun than looking at them through a glass window or watching them perform unnatural behaviors. I am guessing that because you want to go vegan, you saw something which made you want to change? Whether it was Earthlings, Cowspiracy, or even a video on Facebook. I am guessing it made you really sad? Well, that is totally normal, and thank goodness you have compassion in your heart. You've made a great step forward in life. Unfortunately, some people don't see it this way, people can be cold hearted, mean and ignorant, and it really gets to you. I know from experience. My first week of being vegan, I hated everyone. I just wanted to shout at people, and you will probably feel like that too, its okay to be angry, you have every right to be upset about what is happening and that people are choosing to ignore it. It is extremely frustrating, but it all comes down to the animals. They are what matters and what you need to speak out for. Its important to remain logical and don't let your emotions show too much, the animals need us to stay strong and logical for them. As much as you want to knock that burger out of your friends hand and call her a murderer, just remain calm, and keep telling them about how delicious your veggie burger tastes. Its good to do some research on the issues such as animal agriculture and environment. Its important that you know the facts so that you can shutdown any argument people try and have with you, trust me, it will happen a lot. The more facts you have, the more you can educate people. Don't worry about other peoples opinions and closed minds, because they don't matter. What matters is standing up for what you believe in, speaking fact and educating people on the effects animal agriculture is having on our environment & how cruel the meat, dairy and egg industries are. For every person that responds negatively, there will be someone that responds positively. Focus on these people. Its really important that we don't hurt the cause, and unfortunately by being angry all the time, you can hurt the cause. I find that a good way to let it out is to write it all down, there are lots of vegan Facebook groups which are great for ranting in. These groups will be full of people that understand and it helps a lot to get it off your chest without being called crazy and extreme. Speaking of, you will find that being vegan can be quite isolating if you don't know any vegans, but don't worry, find your nearest vegan restaurant and talk to people in there, put yourself out there, get networking. Maybe even contact The Vegan Society and ask if there's a vegan group local to you. There's lots of different vegan festivals and events that take place in the UK, these are the perfect opportunities to meet like minded people & make new friends. You are not alone, and you have made a great choice. I really hope that this has been helpful. Being vegan is the best choice I ever made, and I am sure it will be yours too. For more information on why I went vegan & for more useful links and resources, read my vegan story.